Another gray April behind us. Gray May today. Been running again. I'm out of shape. Always, ever forever, learning and re-learning that a fitness level can drop so fast. But then, it can also be built right back up again with just, like, even a little discipline. I made a couple Game of Thrones recaps. Really good to keep the visual storytelling muscles at flex, churn out content like a year ago with BLOGJOB. Still working on the script for a short film later this summer, COVERS THIEF. Put the muscles to real use. Still don't understand why HBO doesn't make their content available except to cable subscribers and friends of cable subscribers using their HBOGo password. I'd like to believe that research was involved and that HBO has data to support this 1990s-era policy. But based on my limited interactions with the entertainment industry it's more likely that HBO is run by people who are alienated from the current technical and cultural landscape, clinging to anachronistic models. Very frustrating to someone like me who'd prefer to pay in to the system and, at least theoretically, pass along financial support to the creators of shows beloved so. 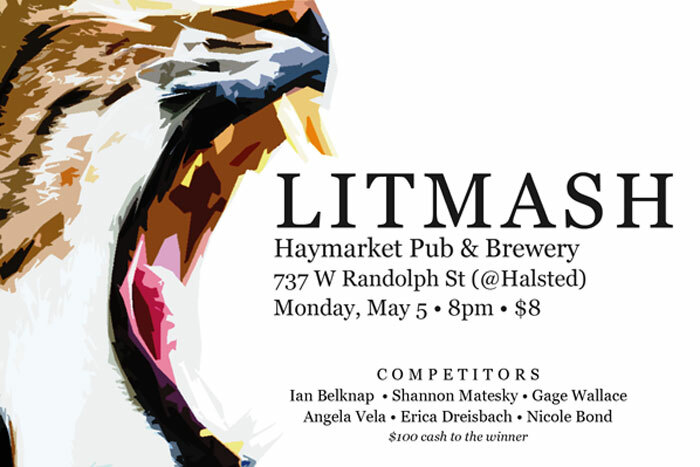 If you're in town and been wanting to see me slam, come to Litmash on Monday in Chicago! Haymarket Pub, 737 W Randolph (@ Halsted), 8pm, $8. There's a $100 prize to the winner; $50 to the audience favorite. If you come help me win I'll spend it on victory drinks for us.